The National University of Mexico (UNAM) is celebrating 100-years anniversary with a massive chess festival. One of the top events of the festival is the Torneo Cuadrangular, a rapid championship with Topalov, Polgar, Ivanchuk, and Leon Hoyos. 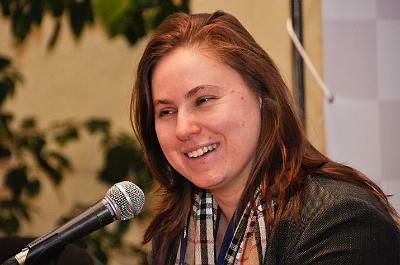 The mini match Vassily Ivanchuk – Judit Polgar took place on day one of Torneo Cuadrangular. Polgar started cautiously with white in the first game and Ivanchuk quickly took advantage in the opening. 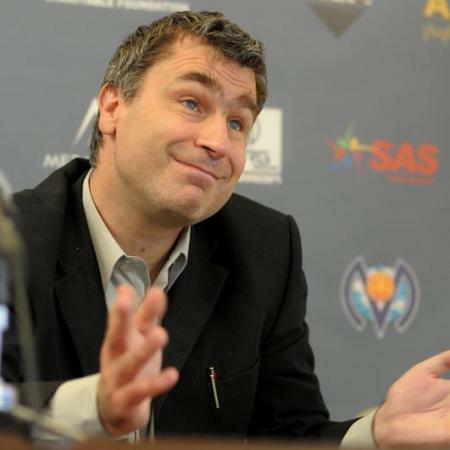 Without leaving attacking chances for the world top woman, Ivanchuk grinded down the position and won convincingly after 40 moves. Just as everyone in the “escenario de Mexico” thought it will be an easy walk for Ivanchuk, the Ukrainian GM complicated himself the task. In a relatively equal game, Judith decided to go all out attack with 25… Rc4, not noting a possible 26. Ra3 continuation, which would have left her in inactive position with little chances for favorable outcome. But Ivanchuk hurried with the reply and offered exchange of queens with 26. Qd2, which gave the opportunity to Polgar to retreat with 26… Qb6 and maintain the equal position. Ivanchuk felt he was still better, but time was serious pressure for him, so he went for the radical 31. f5. Polgar defended well, and Ivanchuk flagged making the score equal 1:1. Game three concluded peacefully in only 30 moves. None of the players took risks, and with plenty of time on the clocks the game finished draw. Game four started with the opening moves similar to game two. Ivanchuk was the first to deviate by inserting 10. a3, not allowing an early land of Polgar’s bishop on b4. As a response to the new structure, Judith tried to build pressure early on with 15…a5. Ivanchuk responded correctly with Be3 and took the initiative in the game. The position was alternating from slight advantage for white to equal, up until move 53, when Ivanchuk played the dubious Rhe2 allowing Polgar to take material and maintain the defence around the king. Soon Polgar was two pawns up and with good advantage on the clock. With the heavy pieces still on the board she had to be careful not to give drawing opportunities to her opponent, and such were present on several occasions. After 74… h4 (75. Qe8 Qf7 76. Qh8+ Qh7 77. Qc8 Kh5 78. Qxe6 h3 79. Qe8+ Qg6 80. Qh8+ Qh6 81. Qe8+ Qg6), or after 84… Kg4 (85. Qd1+ Kg3 86. Qg1+ Kh3 87. Qf1+ Kg4 88. Qd1+). Ivanchuk’s clock went low again and moves started flying on the board. Most probably because of that the official pgn says Ivanchuk missed a mate in 1 on move 94. Despite some more imprecise moves, Ivanchuk held until 113. Kd2, when his position collapsed and Judith Polgar won the decisive game of the match.